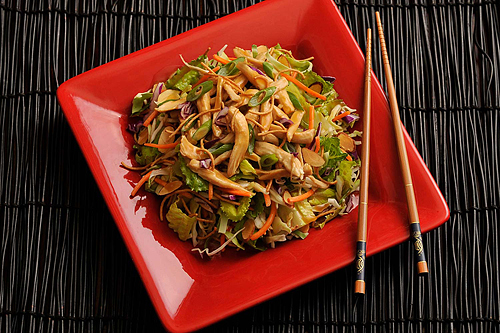 Far East flavors come together to create a far-out delicious taste. 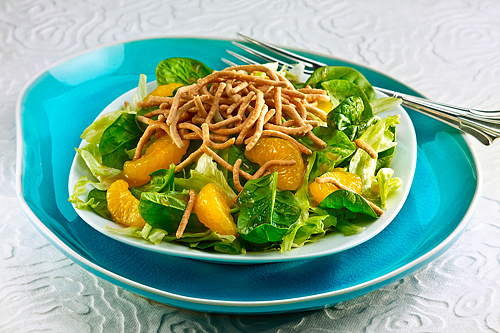 Our Ginger Mandarin Salad Dressing is as premium as it gets, with a perfect blend of exotic minced ginger, tangy soy sauce and juicy mandarin oranges. 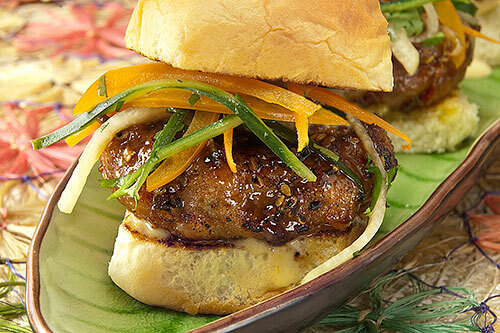 One taste will put your palette on the Orient Express headed straight to Deliciousville. 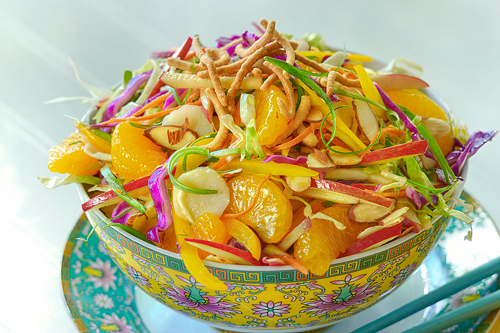 But salad’s only the start for this tempting Far East star. 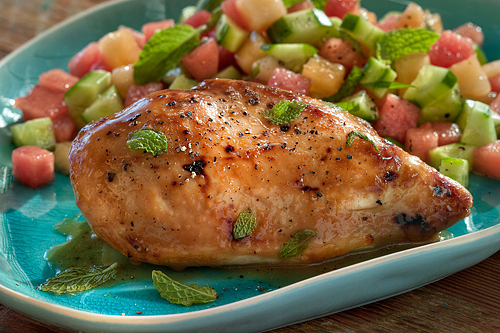 You’ll also love it as a marinade for meats, veggies and seafood. Oh, and just wait ‘til you try it as a dip for egg rolls: guaranteed love at first bite! canola oil, soy sauce (water, wheat, soybeans, sea salt, alcohol (to retain freshness)), honey, water, rice wine vinegar, sugar, sesame oil, garlic puree (garlic, citric acid), concentrated mandarin juice, minced ginger, salt, xanthan gum, mixed tocopherols (antioxidant – vitamin e). Del Sol Food Company Inc.
Not all matches are made in culinary heaven! If you’re not completely satisfied with your BRIANNAS Fine Salad Dressing, simply send us your receipt within 60 days of purchase for a full refund of your purchase price. © 2019 BRIANNAS, Del Sol Food Co., All rights reserved.